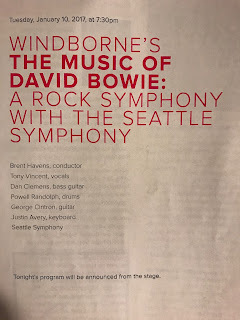 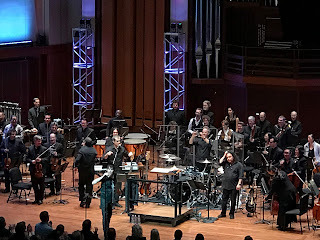 Windborne's The Music of David Bowie: A Rock Symphony With The Seattle Symphony, S. Mark Taper Foundation Auditorium, Benaroya Hall, Seattle, WA, January 10, 2017. 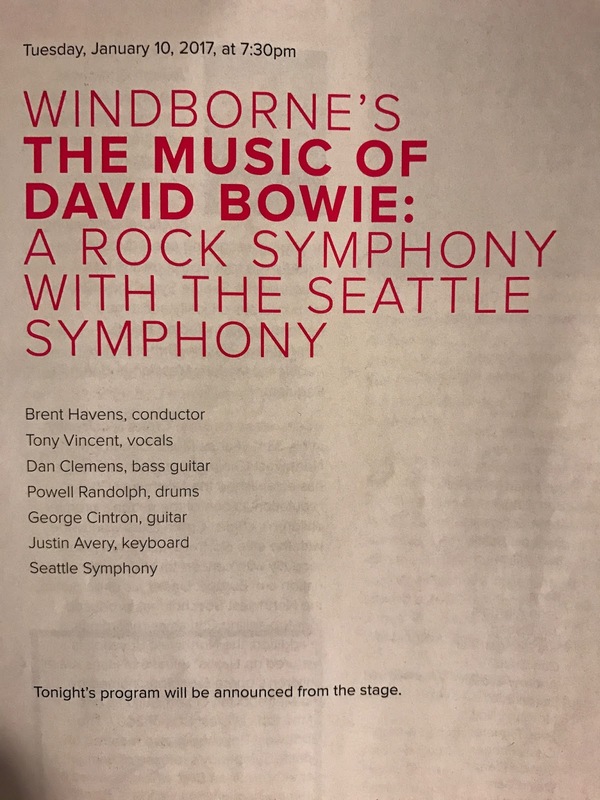 "The genius of David Bowie's innovative range of musical styles influenced multiple generations of groundbreaking music. 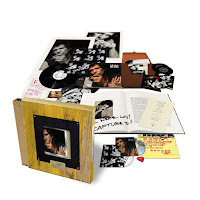 Now, hear his iconic music performed as never before with the Seattle Symphony featuring Guest Conductor Brent Havens and a full rock band; taking you on a symphonic odyssey that pays tribute to the legendary musician and epic storyteller David Bowie."